Inteli-Power 9200® Series Power Converter/Battery Charger for Specialty Vehicles & Other Applications with Built-in, Patented 4-Stage Charging for Better Battery Management. 40 amp for specialty vehicles and stationary applications. 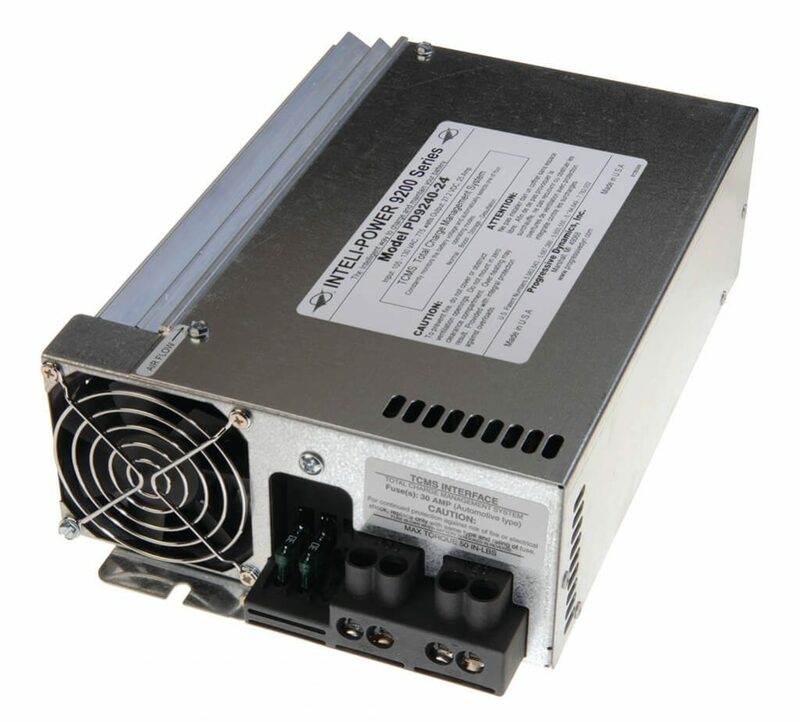 The Progressive Dynamics power converter provides 24 volt output in a 40 amp configuration. Typical applications include battery charging for busses, shuttle busses, local refrigeration delivery trucks, display vans, emergency vehicles, communication trucks, ove-the-road trucks with sleeper cabs, and solar energy. Built-in Charge Wizard®, 4-stage charging system constantly monitors batteries and automatically adjusts your converter output voltage based on the battery’s charge status. Made in America for better quality, service and support. Reverse battery protection protects converter from damage resulting from improper (reverse) battery lead connection. Electronic current limiting automatically reduces output voltage when maximum capacity is reached.